UKEssays.com is an essay writing service that claims to have about 4000 freelance writers and 30 office-based administrative staff. They started the business in the year 2003 but it was with a different name. With the number of freelance writers and staff they have, plus the years of experience, you could say this is already a truly established company that can be trusted. So, in reviewing this service, we tried to gather a variety of resources such as customer testimonials and reviews off-site, the information on their website, placing a research paper order, etc. UKEssays.com is more of an academic writing service online. You can request for your coursework, dissertation, research paper and other acemic papers to be written by them. They are also versatile when it comes to what level of academic writing you are requesting because they claim to do high school and graduate level work. Aside from writing, they also offer editing services. However, UKEssays.com is UK-based and their primary targets are UK students mostly. Compared to other online writing services, UKEssays.com charge the highest prices ever. We ordered an 8-page with 4 resources paper to be delivered in 7 days and that gave us a price of $529.00, meaning, they charge $66 per page. Other services mostly charge about $12.00 per page only. But we put off our judgment first because who knows, the quality may be worth it and for a price as high as that, you’d really expect the highest quality writing. The high price will make you hope for a discount, but unfortunately, the site does not offer discounts. Even when we asked their customer support, they really do not offer any discount whether through a promo or coupon code. We also checked for additional features, but we found none so far. But again, with such strict no-discount policy and high price as well as the lack of freebies, you are expecting to get only the highest quality paper. They do have their policies posted and that looks standard. Since the site mostly targets UK students, their customer support is not open 24 hours. But since they also claim to offer assistance to US students, their non-24 hours customer support may have a problem with that in terms of time zones. If you are not a UK resident you would need to watch your time zone if you want to contact them and be wary of their business hours. In terms of the accessibility of their site, you’d notice how organized their site is. They provide links that would take you to pages where you can find some helpful information. You will also find footer pages which will make it easy for you to look at the main service descriptions. They also publish samples of dissertations and other works that you can easily access without a problem. This is the main highlight of the review as this will prove whether you should be paying for the high price they charge or skip it. Our first encounter with the quality of their writing is when we checked their sample dissertations on their site. But upon checking, we noticed that the sample contains lots of pages and no headings to mark another section. It would be hard for you to know when a thought ends and when another will start again. This made us wonder whether they really know the proper dissertation structure or not. When we looked into customer reviews and testimonials, we noticed them mostly saying that the price is just way too high for such a mediocre quality writing. In fact, when we looked at the paper we ordered, we noticed there are still some grammatical errors as well as wrong usage of words. 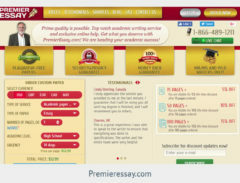 The site also claims their custom writers hold professional degrees so we expected the hiring process to be very strict. So, we tried applying as a writer and found out they only ask for minimal requirements like their credentials and a personal statement. UKEssays.com is not a scam because they do deliver what you ordered even if it is not worth the price. UKEssays.com pros are only on their website usability and they fail terribly in other important areas. The service is no doubt, overpriced and they cannot compensate their high price with quality because most of their customers are not satisfied with the quality they deliver. Their customer support is also a failure because you cannot expect them to be there for you when you need them. In short, you are not getting what you expect to be paying for. This is why we are giving this site a “poor” rating and we do not recommend this site to students unless you have a lot of money to waste.